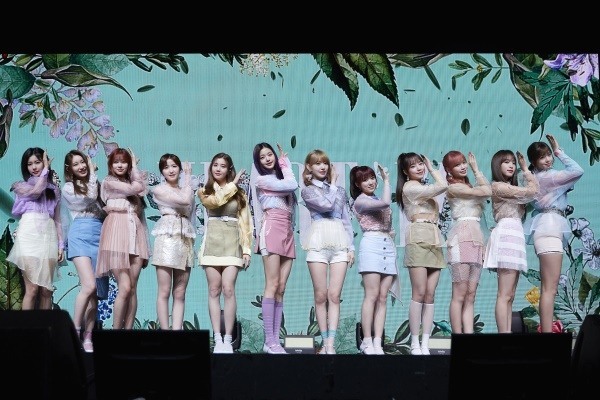 Girl group IZ*ONE, which made grand debut last year, returned to the music scene with new EP “Heart*Iz” on Monday. The new album arrives six months after the 12-member girl band released its debut album “Color*Iz” in October to much fanfare. The band swept local music charts with the title track “La Vie en Rose,” and took home five rookie awards at end of the year. The Korean-Japanese group is the third project group formed through Mnet’s K-pop “Produce” competition show. They will be promoting together as a project band for 2 1/2 years. 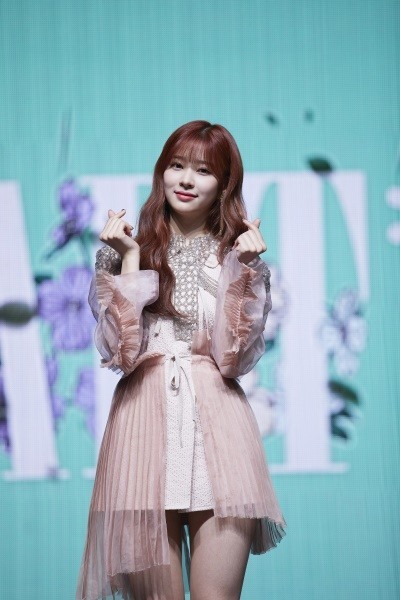 The new EP’s title track “Violeta” is another flower-themed song similar to “La Vie en Rose.” It starts with a future bass sounds in the intro and mixes pop and tropical house genre, highlighting IZ*ONE’s lovely and mystical charm. Inspired by Oscar Wilde’s fairy tale “The Happy Prince,” “Violeta” is an energetic song that carries the band’s hope for all listeners to realize their worth and love. 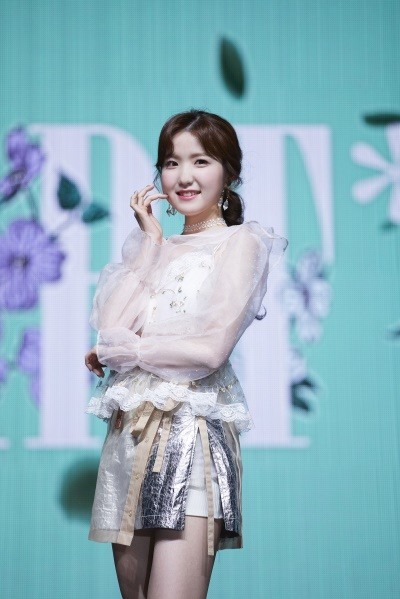 “We want to deliver a song of cheer to everyone for their support and love,” said Kim Chae-won. 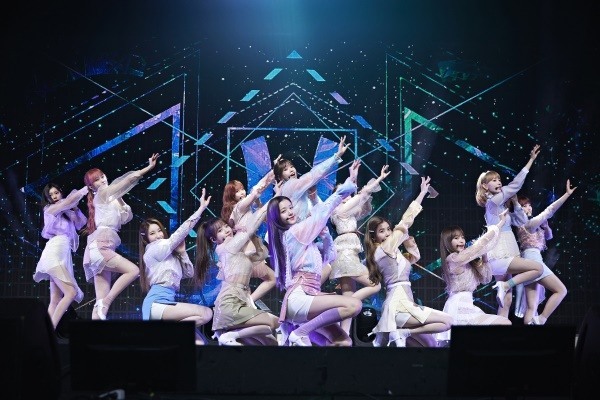 At the showcase, the girls gave a first performance of “Violeta,” which takes a violet mood from the color of the flower and a dance move that resembles swallow -- the bird that appears in the classic that delivers ruby and sapphire and gold from the statue of prince and gives them to the poor. The band also performed another track “Up” in the album. The eight-track EP starts with “Hey. Bae. Like it,” an afro house music. The third song “Highlight,” is an extension version of the previous track “Violeta,” according to the band. 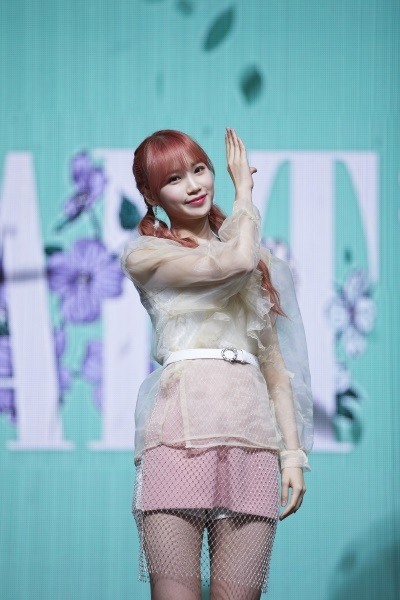 Members Kim Min-Ju and Hitomi Honda took part in writing the lyrics of another song “Really Like You.” The fifth track, “Airplane” is composed by Lee Dae-hwi, former member of now disbanded project boy band Wanna One that also made debut with the “Produce” program. 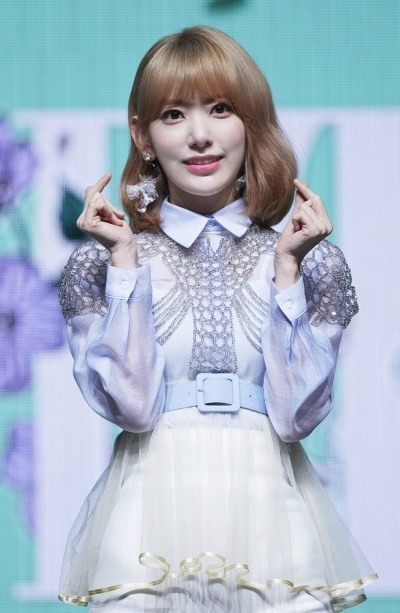 The album also has Korean adapted version of two songs IZ*One released in Japan earlier this year: “I Want to be a Cat” and Good Bye,” which were adapted by Min-ju and Lee Chae-yeon, respectively. 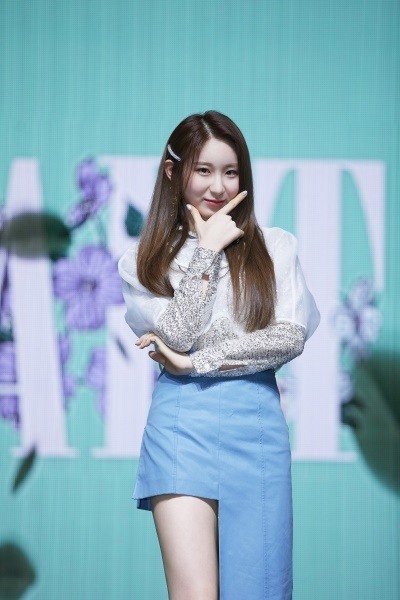 With the new release, the girl group is all out to spend more time communicating with fans and enjoy their time on stage and performances.